Don’t kids just do the darndest things? Life’s never dull when you’re a mom or dad, although that’s not always a good thing. While your children might be hugely entertaining, they can also drive you up the wall. They have a habit of never doing what you tell them to, no matter how much you nag them. If something requires effort, there’s a good chance they’re not going to do it. When did kids become so lazy? Maybe we can find a little more insight into the answer. Spelling is one of the first things kids are taught when they go to school. If they don’t know the alphabet, it might take a while to crack the rest of the language. While this child certainly seems to know their ABCs, they’ve already found a way to cut corners with their work. 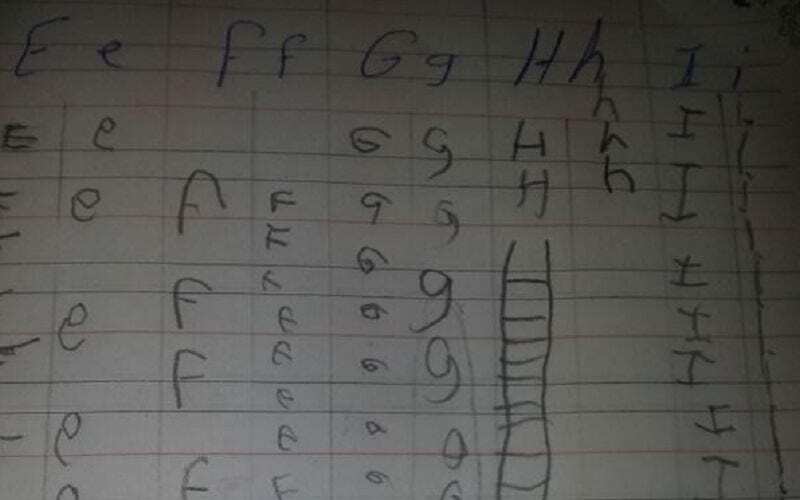 We’re not sure if this kid is a genius for saving time and connecting all their H’s and I’s like this, or whether they’re just extremely lazy. It’s probably a bit of both, to be honest. Parents of the world – how many of you have seen this example of laziness in your child’s bedroom? 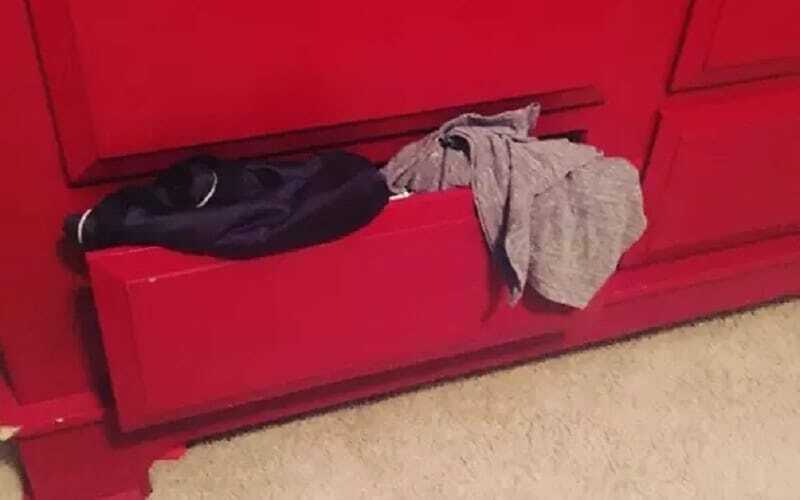 The fact that the clothes are at least in the drawer is something. Usually, kids don’t even bother to try putting their laundry away, instead leaving it all in a pile somewhere on the floor. While this kid’s parents might be able to see their carpet, they probably still aren’t too impressed at this display of laziness. These children seem to forget that mom and dad pay for their clothes. Kids definitely have a strange relationship with the kitchen. They remember it’s there when they want something to eat or drink, but then they forget about it afterward. 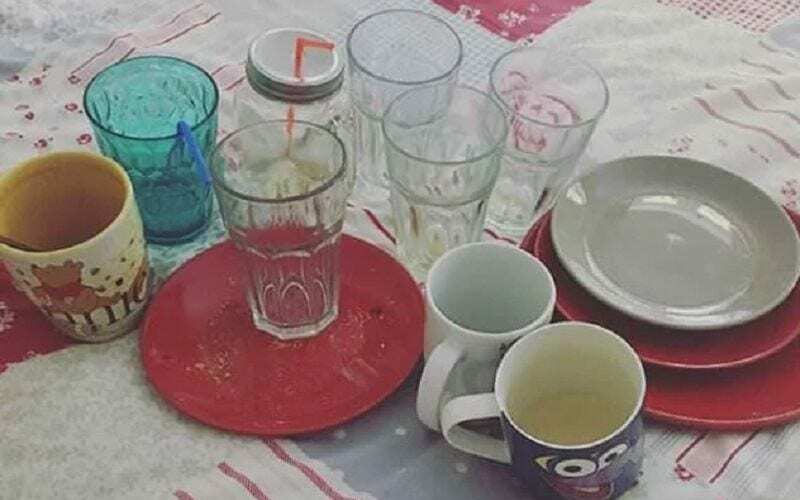 That must be why half of the glasses and plates in the house end up in their bedroom – still dirty, of course. At first, the disappearance of these things goes unnoticed, but once the kitchen cupboards start looking bare, mom and dad have to point the finger somewhere. Nine times out of ten, it’s the kids’ lazy behavior that’s to blame. No matter how good mom’s cooking is, nothing compares to getting a takeout when you’re a kid, right? That’s usually reversed once you go to college and a proper home-cooked meal is all you want in life, but that’s another story. This takeout was obviously so good the family wanted to save some of it for another day. However, they soon discovered the box was empty. Not only had the kids eaten the last slices, but they’d been too lazy to throw the empty trash away, too. How many kids these days can cope without video games? They’re up there with cell phones and social media as the things young people are obsessed with. Children are so addicted to playing them that something as simple as lying down won’t get in the way of their fun. 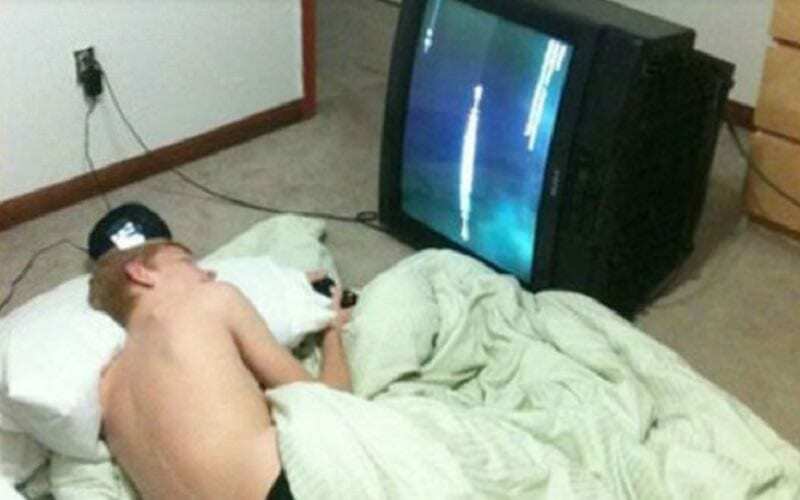 This boy was too lazy to even sit up, but he was still able to go to the effort of turning his TV on its side so that he could see the screen properly. Children have very strange priorities. What do you do when you’re hungry? Go looking for food, of course. Unfortunately, it seems that the kids here don’t understand how a traybake works. 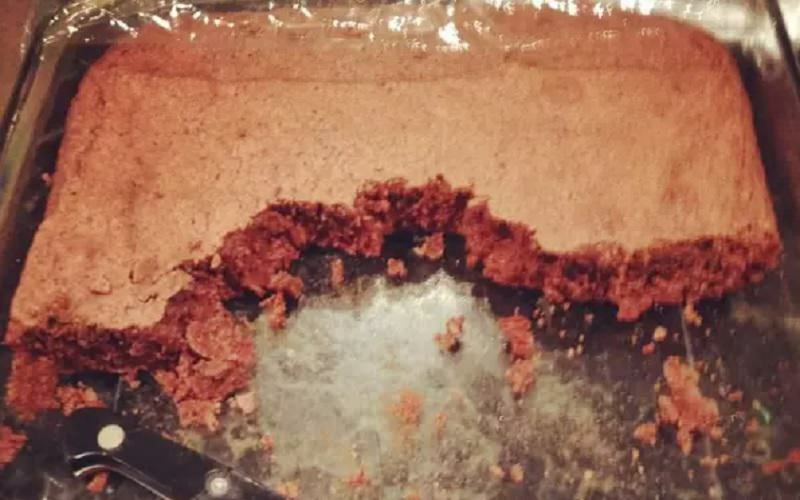 You don’t just grab a handful of cake and walk off – that’s just barbaric. There ought to be a parent around here to use a knife and cut this delicious looking dessert properly. Unfortunately, it looks like the children have been snacking away from mom and dad’s watchful eye. They won’t be too happy when they see what’s happened to the cake they slaved over. Everything looks fine in this picture, right? Some kid has just left a cone sitting on the kitchen floor for no reason? If only. It might be hard to see, but the cone is there to alert everyone to some water that was spilled on the floor. 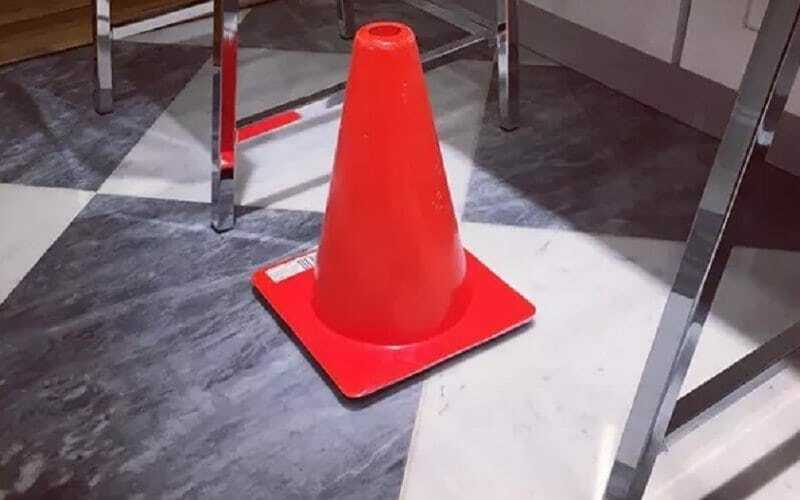 Rather than clean the mess up themselves, or inform one of their parents of the problem, they just set this cone down instead. Apparently, mom and dad are this child’s personal cleaners hired to deal with any mess they make. So long as you have pizza, life can’t possibly be bad. Unless, of course, your parents don’t buy you the pizza you want. 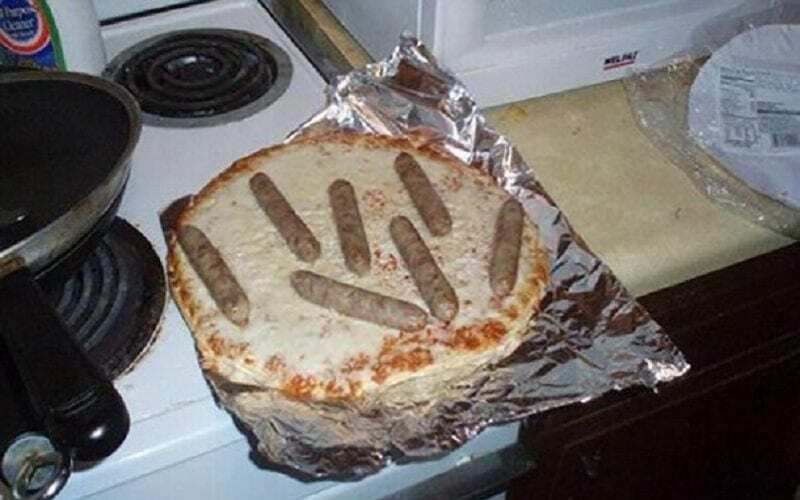 Either there wasn’t much selection at the store, or the person that got this for dinner didn’t put much thought into their choice. Sure, cheese pizza is delicious, but there are so many great toppings out there that can elevate its taste to a whole new level. That must be why this kid has attempted to add sausages to their dinner. Who doesn’t love a meat feast? Some kids demand too much from their parents. Rather than do the chores assigned to them, they expect their mom and dad to do everything themselves. This kid is so lazy that he refuses to even use his own feet. Instead, he wants to be carried around like the kings and queens of old, though in a shopping basket rather than a horse-drawn carriage. Apparently, his subjects have given in to his demands and agreed to drag him wherever he wants to go. His feet will never touch the floor again. If this picture teaches us anything, it’s that you can never trust a child to do things the way you want them done. 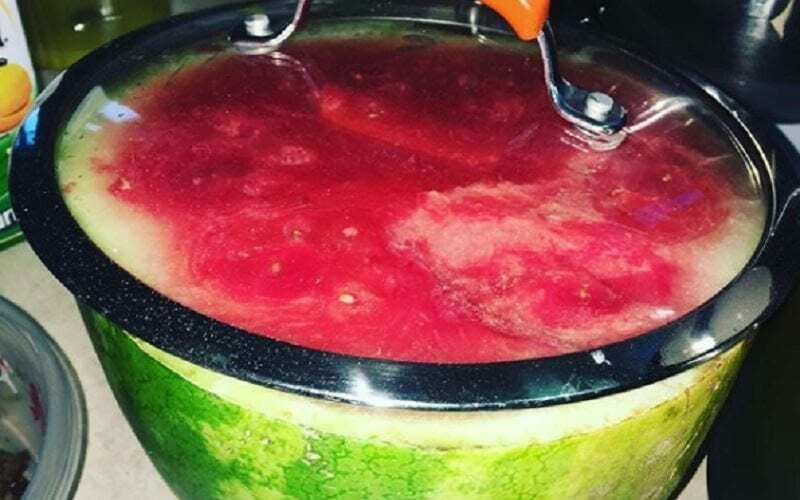 When this parent asked them to cover the watermelon, this was the response they got. Rather than covering the fruit in cellophane, the kid instead placed it under a pan lid. Ingenious, yes, but it was clearly the quicker and easier thing to do. We can only wonder whether this kid’s parent left the watermelon as it was or stored it away properly. Children really hate putting things away. No matter what it is, it seems as though they just can’t be bothered to get up and put in the small amount of effort it takes to store these things away. 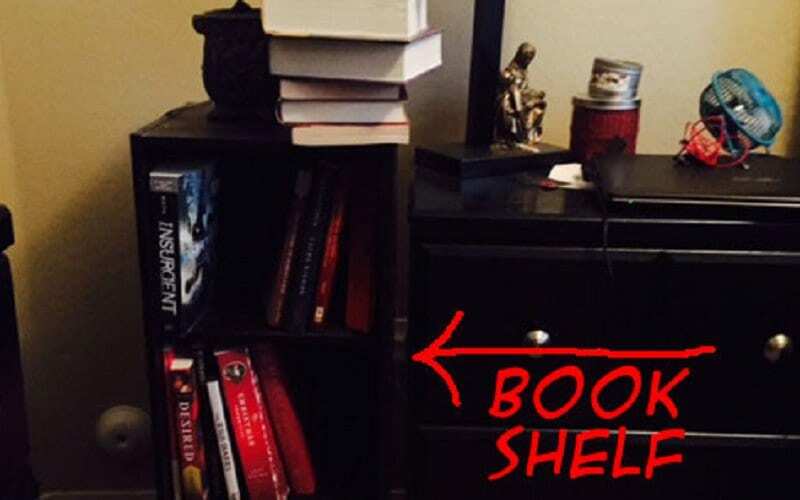 This kid here is apparently an avid reader, yet they still seem to be clueless as to how a bookcase actually works. Once you finish reading something, you put it back on the shelf – don’t just leave it sitting around. There are probably more books in that pile up there than there are on the shelves. 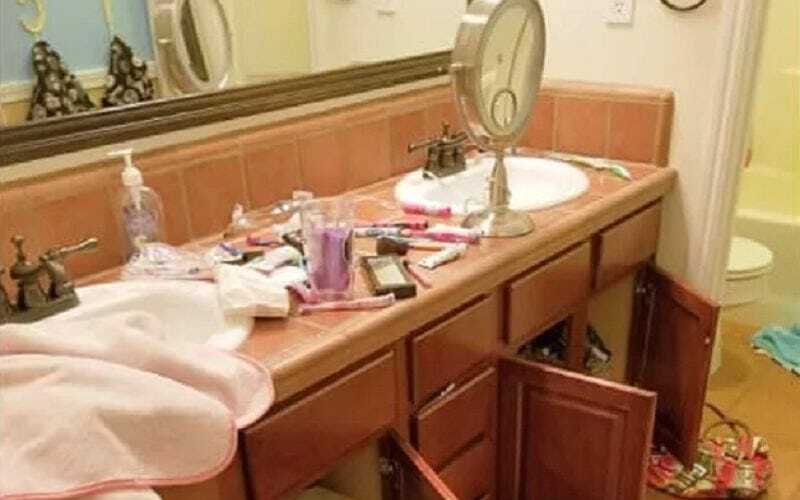 Are kids actually capable of cleaning up messes? Do they just have the mindset that if it’s not one of their chores, they don’t need to do it? That certainly seems to be the case with this child here. They decided to have some fun in the kitchen and do some baking, but cracking eggs got the best of them. 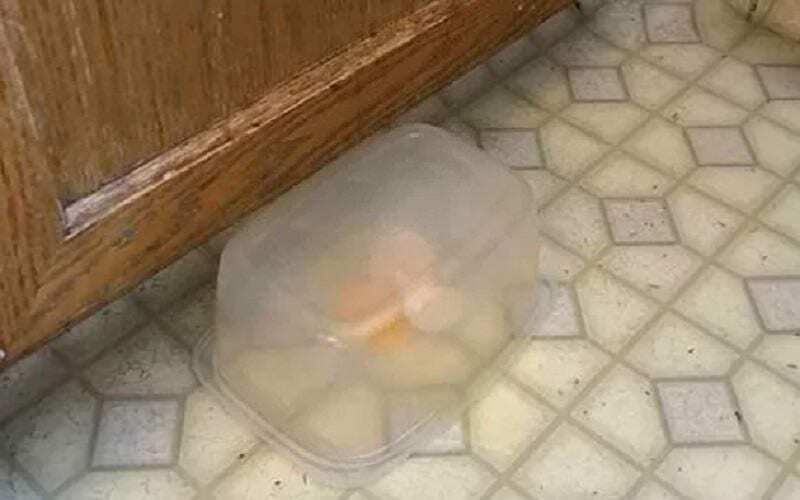 When one of the yolks fell on the floor, they were faced with a decision over what to do. 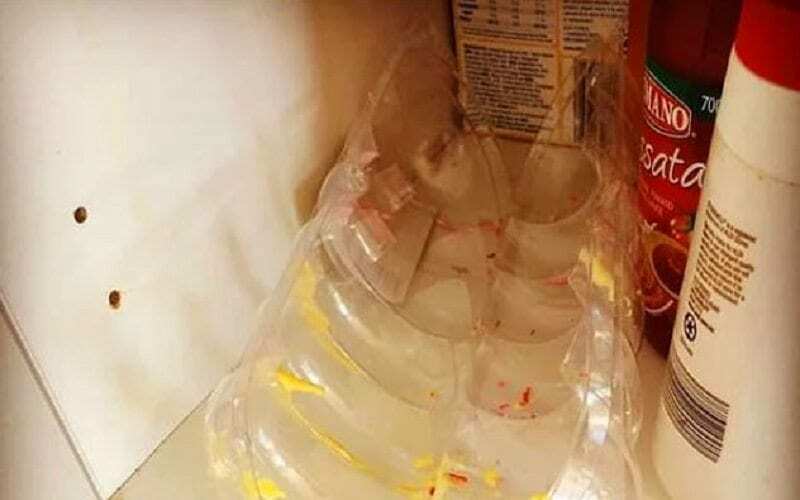 Ultimately, they left it there and covered it with some Tupperware. Very responsible. Tubes of toothpaste do have tops, you know? This kid here has taken laziness to a whole new level by cutting a hole in the side for easy access. Apparently, squeezing is too much effort right before bed. 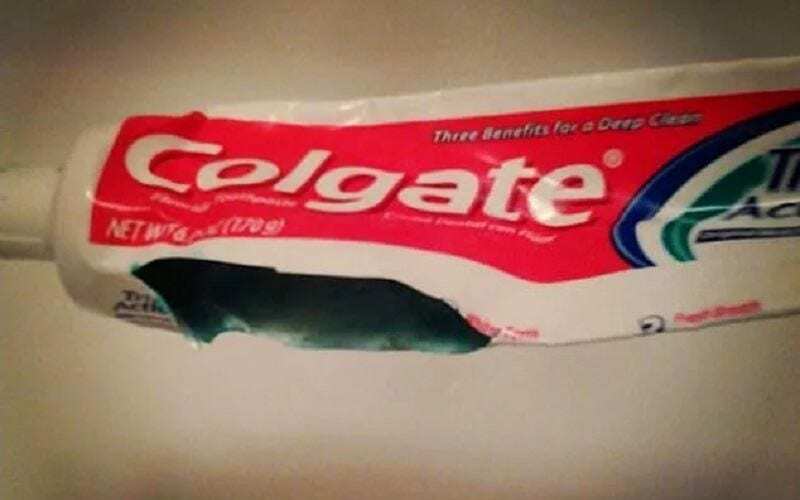 They’d rather just open the tube and stick their toothbrush in to save time. Although that seems like the pinnacle of laziness, we have to admit that it probably makes getting to the bottom of the tube a lot easier. 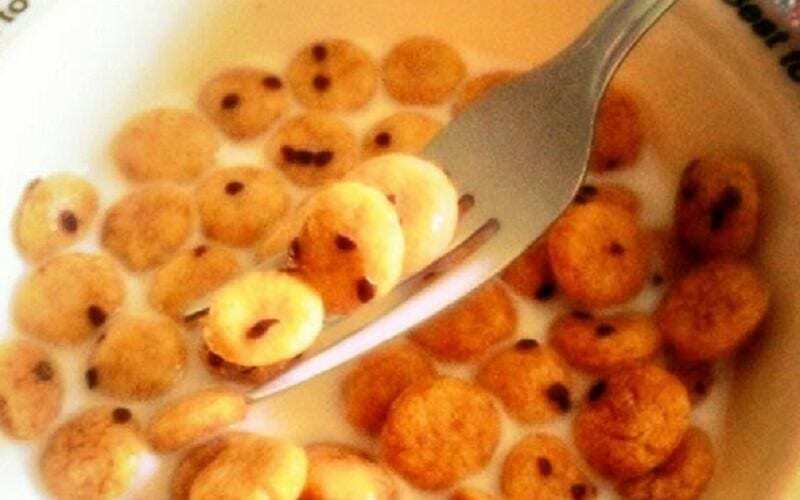 Those last bits are always the hardest to reach when you’re squeezing. Hurting yourself when you’re a child is the worst. For some reason, the tiniest cut feels like you’ve just been stabbed, and only your parents can make it feel better. What if they’re not around to help you, though? Maybe you don’t know where the band-aids are, or you just don’t feel they’ll do a good enough job of easing your pain? That’s when duct tape comes into play. In that desperate time of need, it’s the only thing that can heal your aching wounds… Probably. Do kids know what the trash can actually looks like? Rather than throwing their garbage away where they’re supposed to, they have a habit of just leaving things where they found them. Someone needs to tell them that’s how you get infestations of ants, and worse, in your home. This food packaging is obviously destined for the trash, yet the person who grabbed the last snack didn’t think it was worth getting rid of. Clearly, it served a far more important purpose sitting in the cupboard. What was the purpose? Beats us. 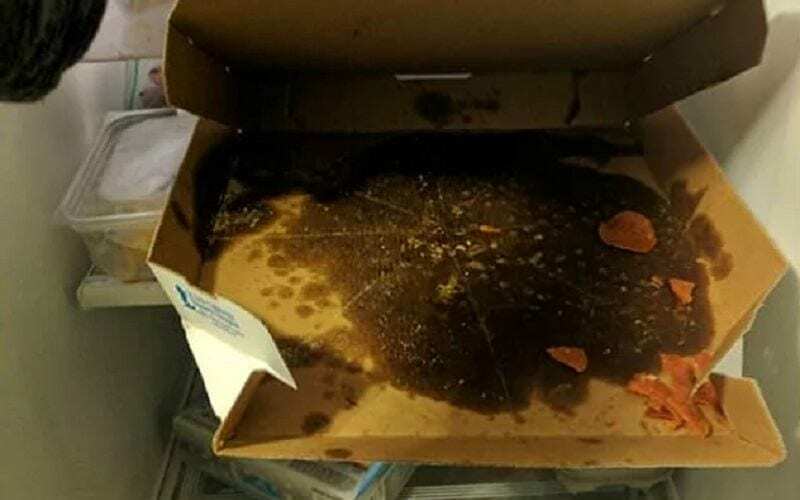 You just have to take one look at how these leftovers were stored away to know that a child was responsible. 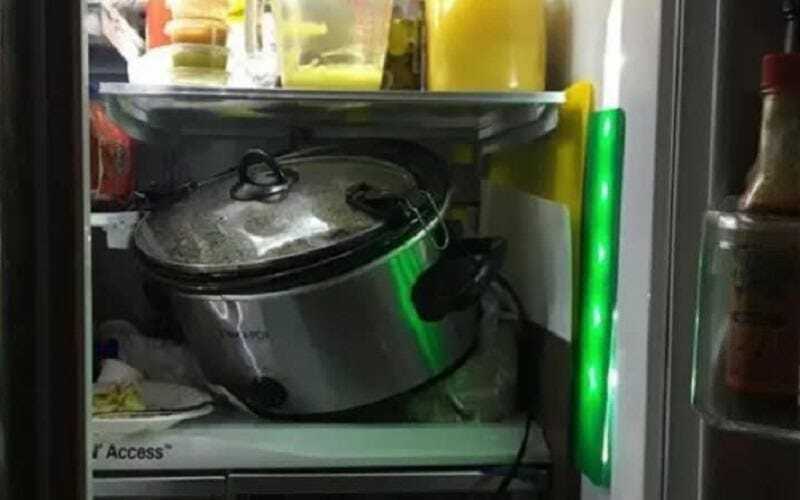 The haphazard attempt at stashing the slow cooker in the refrigerator screams of someone who couldn’t be asked to do as they were told. Rather than make sure it was put away safely and securely, they just dumped it in the first open space they saw. Given how precariously the pot appears to be perched in there, we wouldn’t be surprised if it suddenly fell on the floor. You and us both know what that basket is doing there. It’s a hamper for everyone to put their dirty clothes in so they can get washed and smell fresh once again. Unfortunately, having somewhere specifically for storing laundry doesn’t appeal to the kids in this family. They’re aware it exists, but they can’t bring themselves to put anything in it. 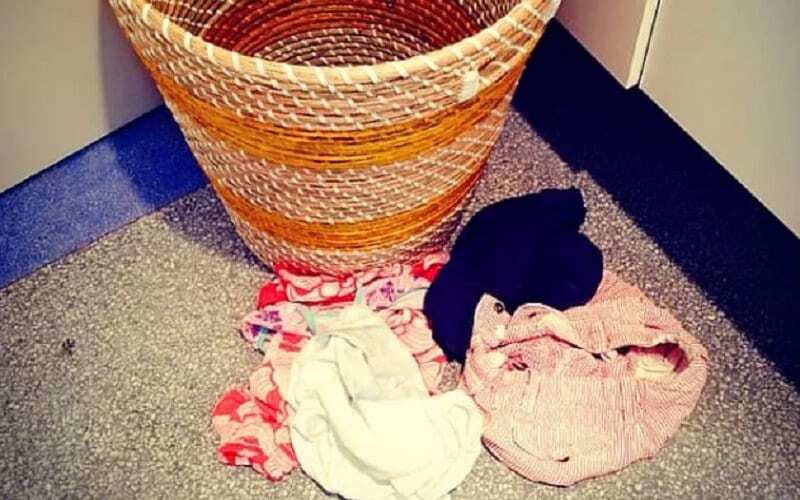 Instead, they’ll just leave their dirty clothes as close as possible to the hamper without actually using it. We suppose the parents will just have to compromise here. You’re never more comfortable than when you’re lying down with a blanket and pillow, right? Once you get into the right position, you can lie there for hours. Unfortunately, that’s then a problem when you decide you want to do something. Even the most straightforward actions, like having a drink, end up becoming one of the hardest things imaginable. 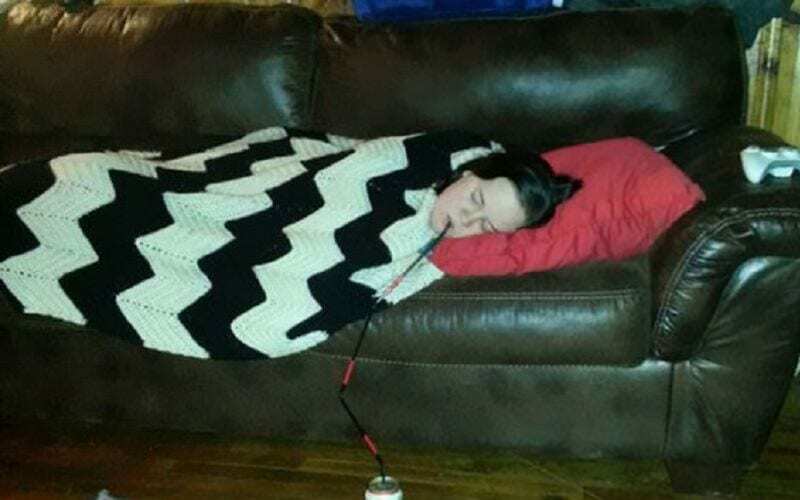 Luckily for this child, she’s found a way to exploit her laziness via her own plastic straw invention. However, we’re sure that took more effort to make than sitting up and taking a swig. Okay, so apparently kids really don’t know what a trash can looks like. 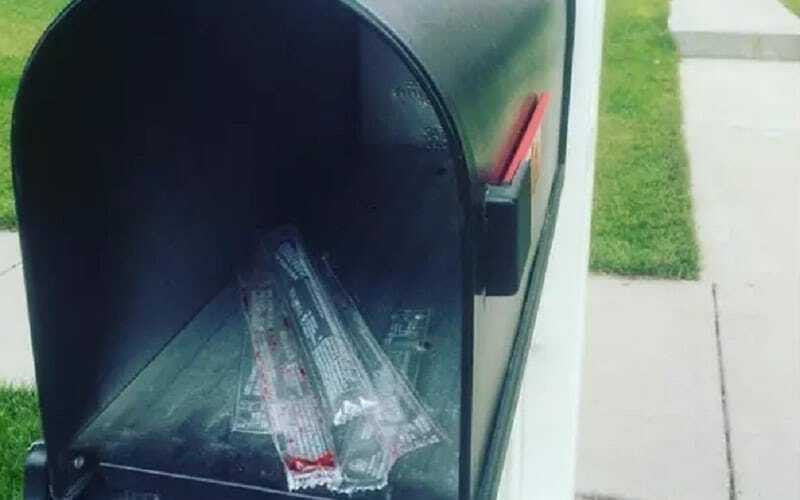 It’s one thing for them to leave their garbage in the cupboard where they found it, but there’s no way these ice pops were being stored in the mailbox. These children were just too lazy to go back indoors and dispose of their trash properly, so they merely used whatever was closest to them. We suppose we should be grateful they didn’t just litter the streets with their garbage. Unless, of course, that wasn’t their mailbox they were using. You know it’s been a while since someone did the dishes when you have to start improvising with your use of kitchenware. Compromising is vital in these situations, with things like using forks instead of spoons for cereal a necessary trade-off. Usually, this happens because the kid whose chore it is to do the dishes has been slacking with their job. 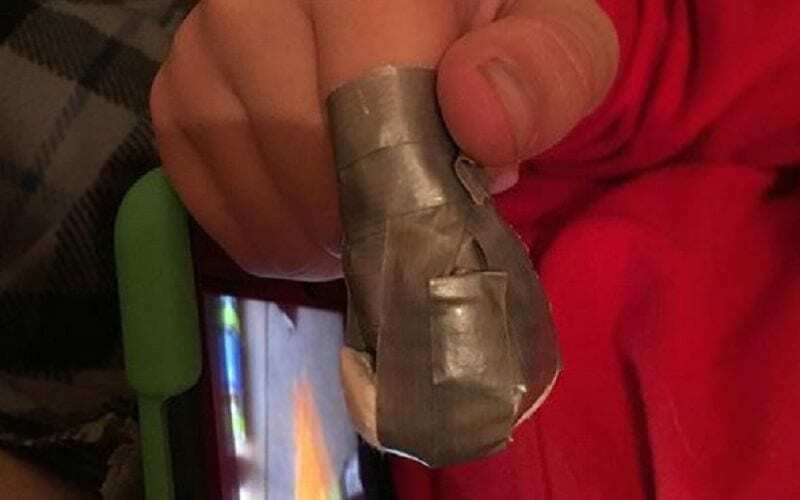 Unfortunately, children are pretty resourceful, and as long as they can find a solution to their problem, they’ll continue to put off what needs to be done. The day when your children grow up enough to start using beauty products is the day when your house looks like this. Once you introduce them to lipstick, eyeliner, and all those other cosmetic goods, you’d best be prepared for them to go crazy trying everything on. Kids will wear a dozen different things at the same time until they understand what suits them best. The problem is, they won’t bother putting anything away once they’ve used it – something that will probably continue for years to come. The older they get, the more some kids look to beauty products to help with how they present themselves to the world. Just because they love wearing make-up and the like, though, doesn’t mean they won’t still find ways to be lazy. 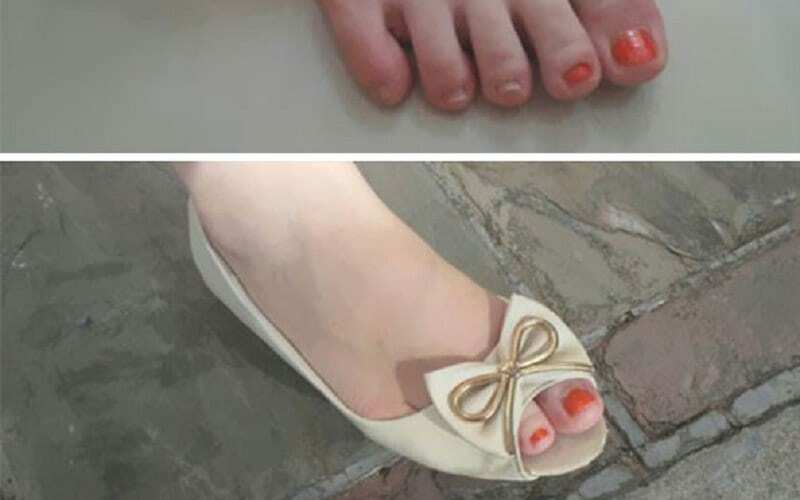 This girl might have wanted to show off her newly-painted nails to her friends, but she wasn’t prepared to go through the effort of doing every individual toe. Instead, she picked shoes that showed off just two of them, allowing her to leave the rest unpainted. 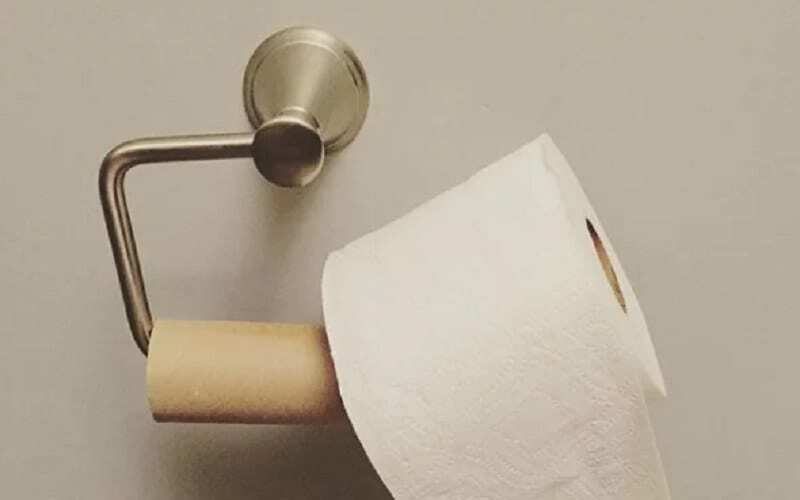 There’s nothing worse than using the restroom and running out of toilet paper. That’s the kind of thing there should always be spares of, no matter what. Fortunately for this family, they were well prepared for this situation and kept a healthy stock of toilet paper exactly where it was needed. However, it seems the kid responsible for using up the last roll isn’t aware of what you do once it runs out. We can assure them that this isn’t the answer. Not by a long shot. 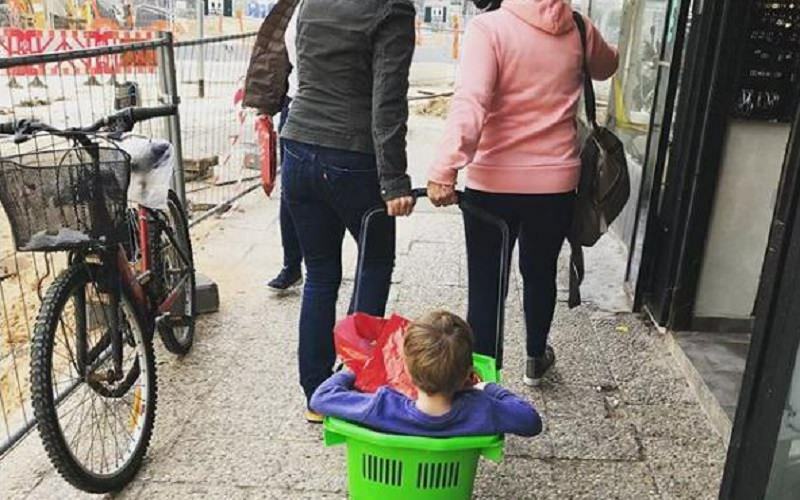 It’s official – this kid wins at being lazy. He’s got the art of watching videos on his phone down to a tee. We have to admit that trying to hold your phone above you while you’re lying in bed or on the sofa can get painful quickly. Plus, there’s always the risk of dropping the device on your face which no-one wants to deal with. 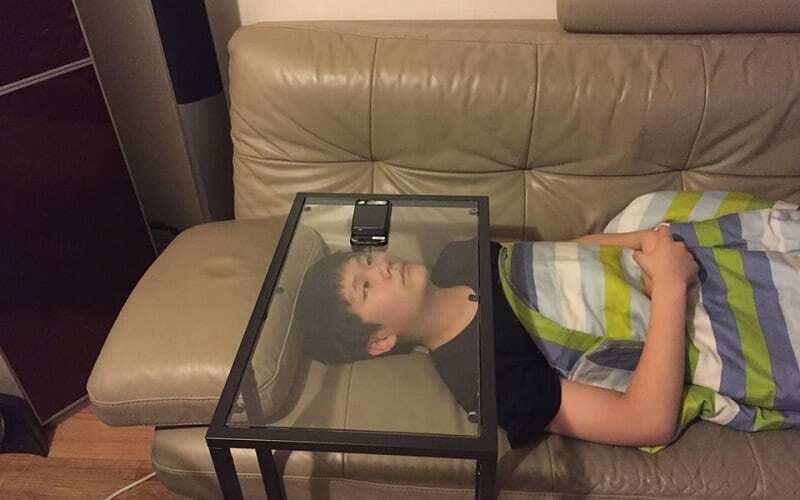 At least now this kid has found a way to be comfortable while also watching his favorite YouTube videos. That right there’s a win-win situation.